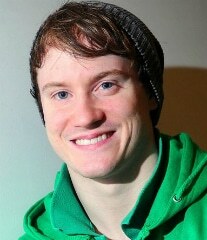 Kieran Behan is recognised as being the first Irish Gymnast to qualify for the Olympic Games. Kieran is a fascinating speaker who captures his audience’s attention with stories of how he overcame huge adversities such as being paralysed in his early career to go on to attain his Olympic dream. Kieran Behan is available to book as an after dinner speaker, motivational speaker, or for public appearances such as product launches or store openings.